With plenty of onsite parking giving immediate access to all of the major arterial roads, our location offers quick and hassle free travel to all areas. 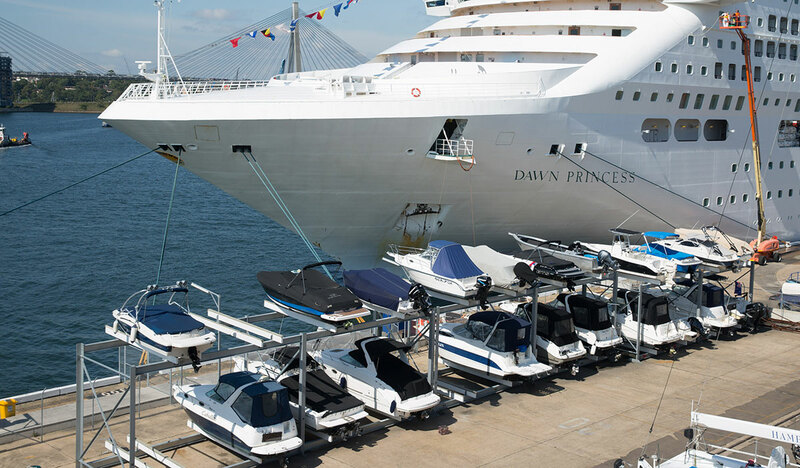 Located at White Bay Berth 6 next to the brand new Cruise Ship Passenger Terminal in Balmain, we are just west of the Harbour Bridge and Darling Harbour, and just north of the ANZAC Bridge in Pyrmont. Access is via James Craig Road (follow signs to Cruise Terminal). This access is open whenever a cruise ship is in port. Schedule here. Alternative access is via the Ports Gate at the corner of Robert Street and Buchanan Street, Balmain. Just tell the security you are going to Sydney Harbour Boat Storage. Map here. If you need access to your boat outside these hours, please contact the office to discuss.